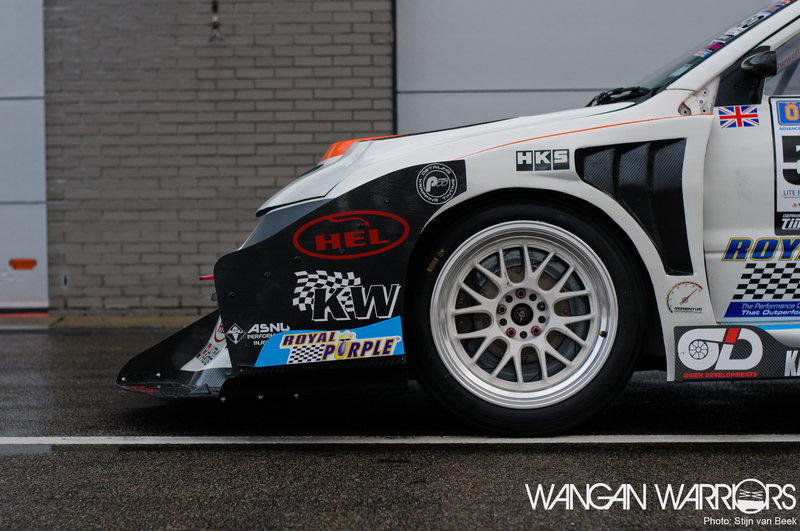 A lot of time, money and development has been spent on this Evo IX to make a time-attack weapon. 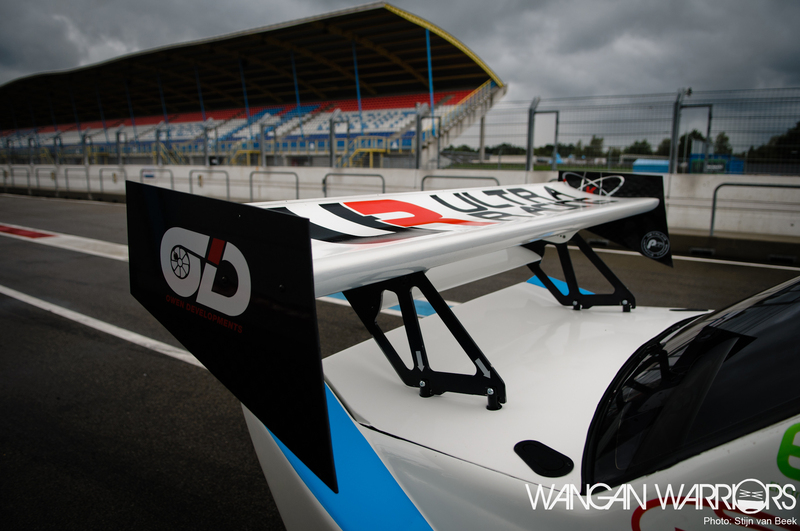 Bonnet, roof, doors, spoiler; almost everything is made out of carbon fibre to make it as light and durable as possible. 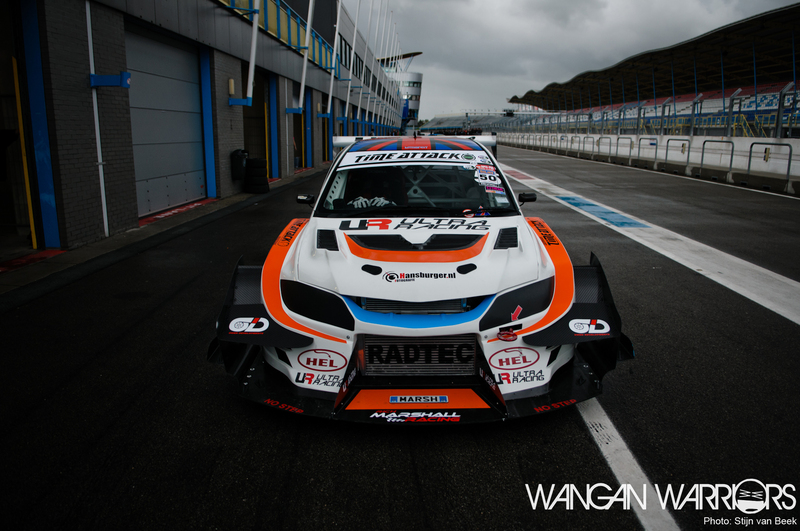 It’s been tested during Time Attack events, trackdays and high speed racing and the car is still under construction. The attention to detail is insanely good. For example the interior; it’s made to make everything accessible for any driver behind the wheel. A great example is the last time attack race of 2016. Richard let a friend drive his car so he would win the championship. After a brief explanation he went out on the track. 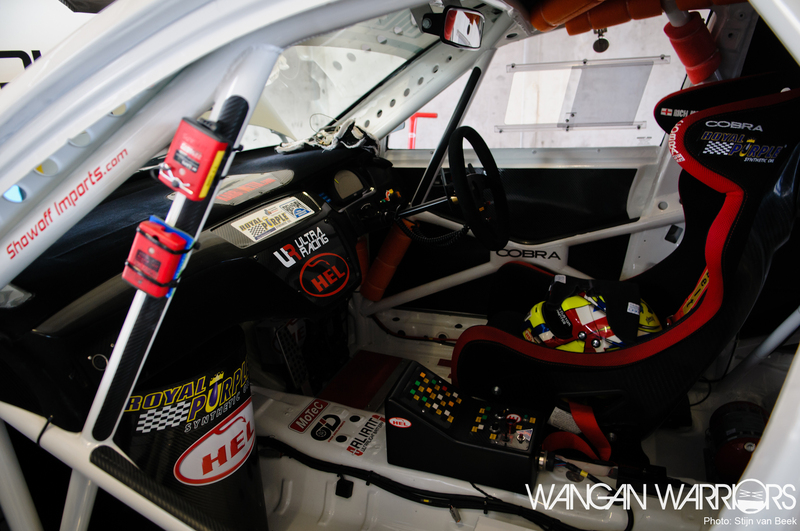 A good race car needs proper tools, facilities and personnel. The car is transported in a closed trailer. 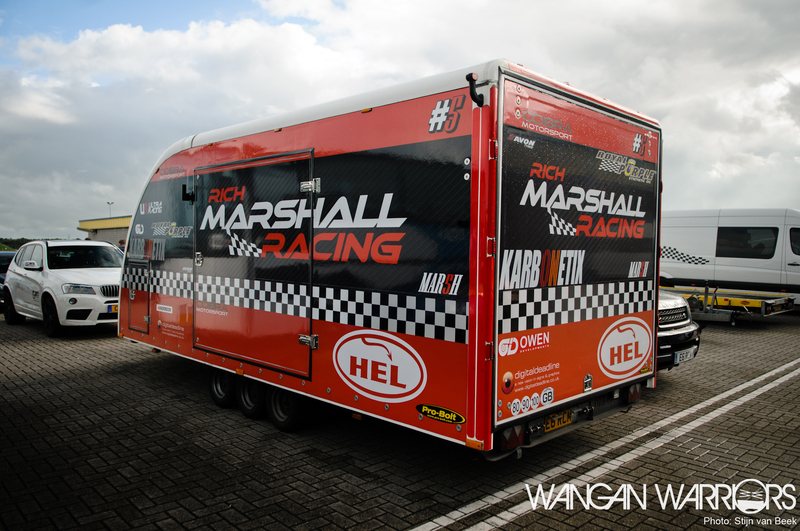 The trailer is filled with all the tools you need; tire heaters, set of full slicks and rain slicks, a lot of fuel and a complete tool kit. As assistance, Richard lends personnel from Show Off Imports and to make the team complete his wife joins him on the trip. The EVO definitely looks like a real race car, but how about the upgrades underneath the bonnet? Using an Owner built T04-94HTA hybrid turbo on the 2.0L 4G64 engine, which has been fully rebuilt and is rated for over 1100hp. A real eye-catcher is the ceramic covered AMS manifold that exudes the real power! But why?!! Richard has a dream; to compete in one of the oldest car races in the America; Pikes Peak! Beside the oldest, this is one of the most dangerous races out there. 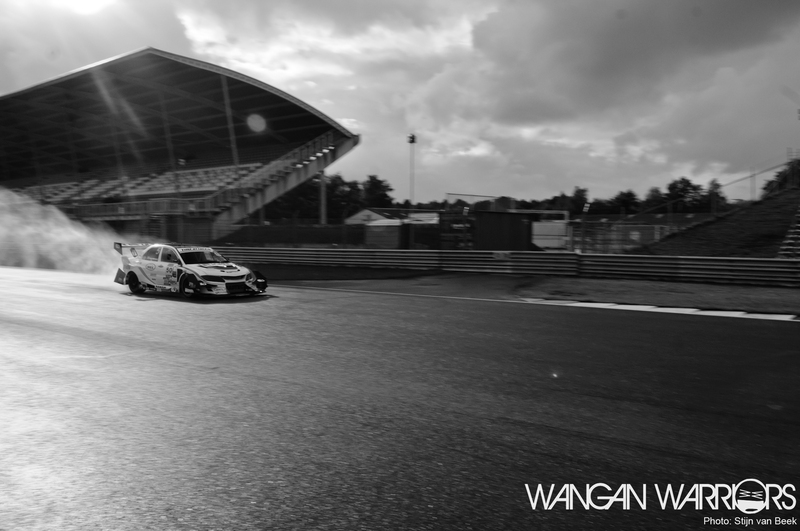 To set a good time you have to bring not just a race car, you have to bring a high-end track weapon! Developing such a race-car comes with some ups and downs. After one season of testing with this aerokit Richard decided to sell the kit and postpone his Pikes-dream. His car has to be perfect! This year the car is getting a new transformation, again. After seeing this amazing project I’m really excited to see the next step. How extreme is it going to be? Make sure you follow this Richard Marshall Racing project! Bonus images after spec list! – 4G64 hi deck block, Manley 156mm I beam Steel Con Rods, ND billet 100mm crankshaft, ND stroker Forged Pistons, ND 87mm wire rung Metal Head Gasket, ND special head studs and ARP main stud kit, Full Shell Set, Removed Balanced Shafts, ND stage 4 wire rung Head, ND solid camshafts, ND solid lifter set, ND valve spring and shim kit, ND vernier cam pulleys, Rated to 1100Hp+. 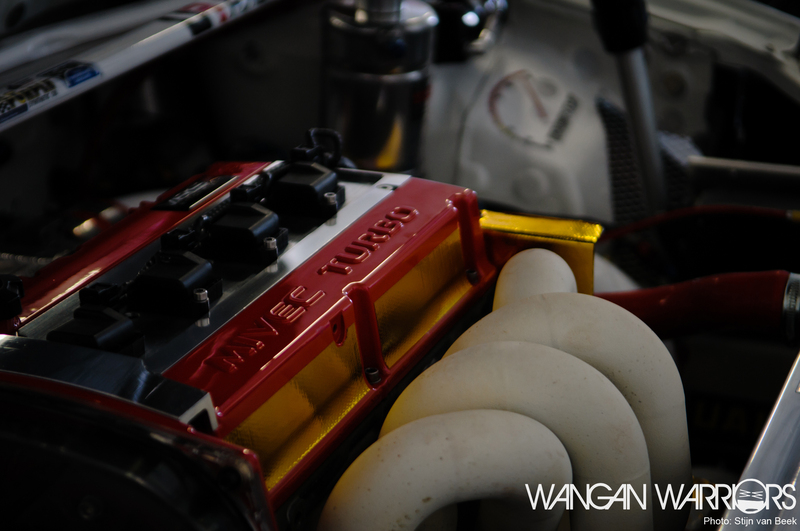 – Owen built T04-94HTA Hybrid Turbo running off Zircotec ceramic covered AMS manifold. – Tial intergrated Dump Valve. – Motec M800 ECU with CDL I/O upgrade running 4 maps and 4 boost settings – Driver operated. – Motec PDM – removing all fuses and relays from engine. – Custom designed and built bepoke fuel swirl pot, ATEC fuel pump brackets and filter with 2 x Bosch 044 fuel pumps. – Walbro ITP 116 in tank lifter fuel pump. – Saxo electric power steering pump – mounted to bulkhead. – Full dry sump engine oil system with external, belt driven oil pump with bespoke carbon fibre cover. – Radtec Radiators split oil cooler / water radiator 25 / 75 with fan. Used in hot Countries. – Radtec stand alone water radiator. – Radtec stand alone front mounted oil cooler. – Radtec Aluminium larger capacity race fuel tank. – Davis Craig electric water pump running de-ionised water and Royal Purple Ice additive. – Radtec Radiators Aerospace hi-efficient bespoke front mount intercooler. – AMS Fabricated stainless steel inlet manifold with Audi / VW R32 throttle body. – Custom designed and made full wiring loom incorporating extra sensors, (brake, oil, fuel) and quick release bulkhead connectors. 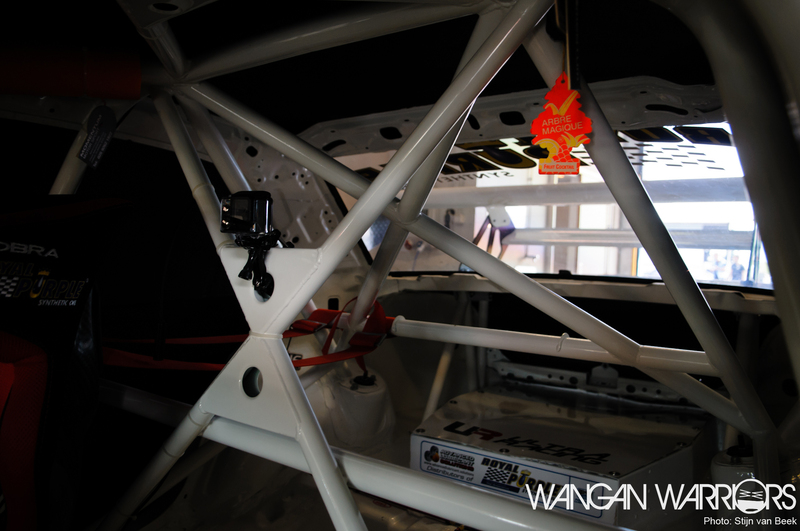 – Custom Cages T45 FIA full welded in cage. – Electric plumbed in AFF Foam Extinguisher. – Armtech electric power cut off. – Full sequential Quaife gearbox running Quaif ALB diff with Shift Tech electronic / pneumatic paddle shift. – Electrically heated front screen. – Cobra Superlight carbon seats with bespoke covers. Passenger seat also available if required. – 2 x 6 ways Sabelt seat harnesses in contrasting red. – Custom designed and built carbon fibre centre consol with integral switches. – AP Racing floor mounted foot pedals with dash mounted bias control knob. – Aliant X4 Lithium 1.6kgs battery and power boost under passenger seat with battery charger. – Sparco alcantara wheel with 3 incorporated buttons, radio, neutral and dash info. – Lifeline quick release steering boss. – Full digital pit to car radio communication system, for 5 pit crew and driver. – Hel Performance red brake lines, connectors, stainless steel braded oil lines and ‘Gold’ fuel lines throughout. 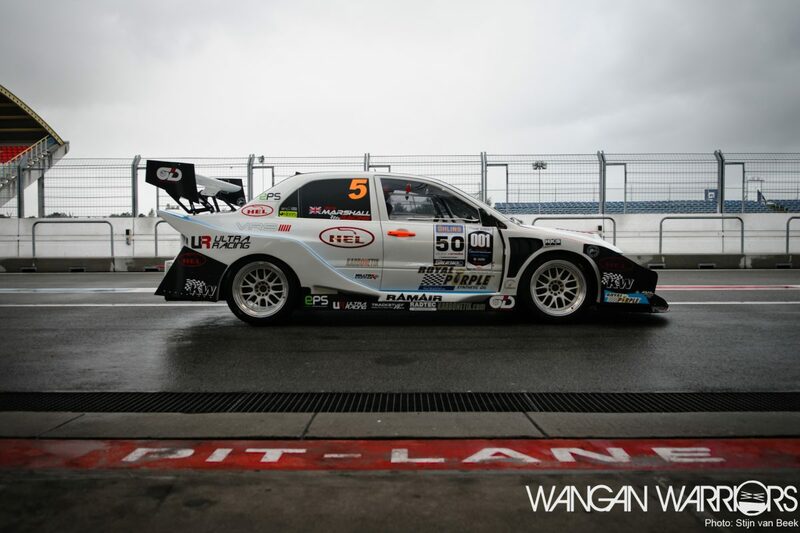 – KW Competition Race 3-Way suspension. – Ultra Racing front and rear strut braces. – Momentum front and rear tubular subframes in blood red. – Evo 9RS Transfer box running Quaife ATB. – Exedy hyper triple plate clutch with heavy duty springs. – Evo 9RS rear diff with Rally Art LSD. – Twin Ultima Rain lights built / incorporated into rear light lenses. 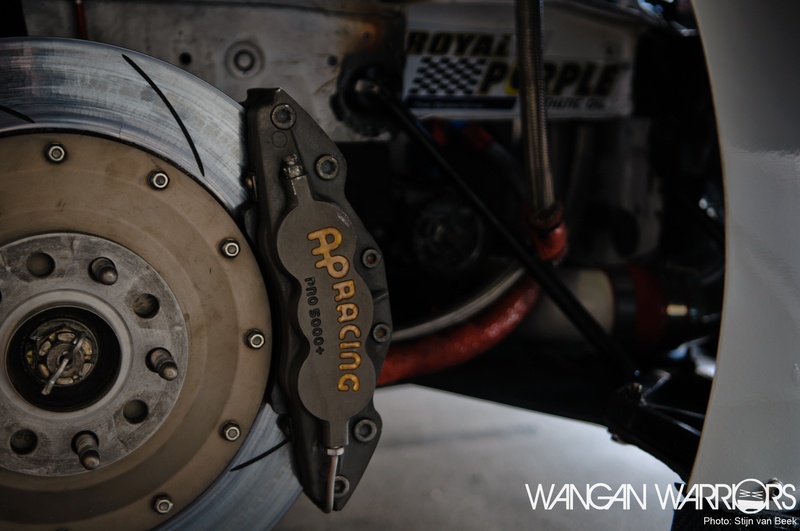 – Momentum Motorsport adjustable front wishbones, steering arms and rear arms. – AP Racing 5000+ callipers with large discs and Ferodo DS Uno pads. – Extensive bodywork modifications to lighten / strengthen and widen shell in pre-preg ultra light carbon fibre from Karbonetix. – Milltek Sport ‘one off’ centre rear box exhaust system with multiple configurations made from 1.2mm aircraft grade stainless steel. – Carbon fibre bonnet, roof, boot, doors, spoiler. 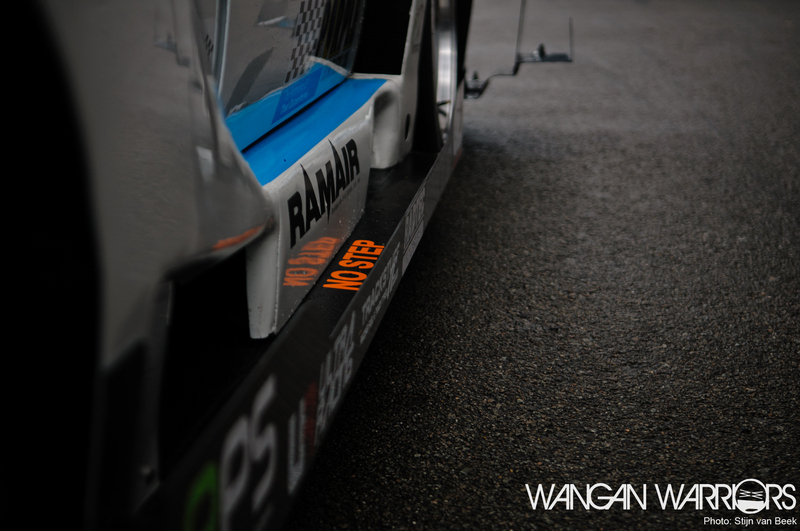 – Carbon fibre flat floor and rear diffuser made. 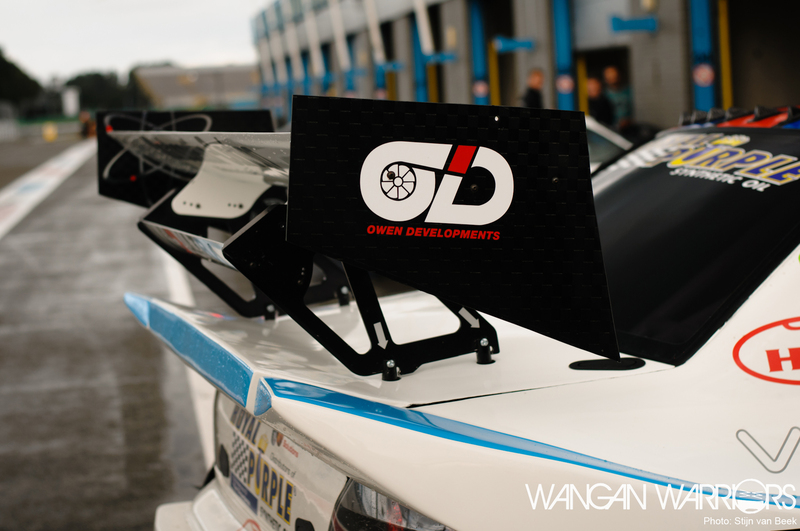 – Modified front bumper with bespoke front canards and splitter end plates.